As if the political climate wasn’t bad enough, changing the clocks to winter mode casts an even longer shadow. But not so in Lyon, a city I hadn’t visited in over ten years. The city hosts the world’s biggest light festival each December and I was back in Lyon, or Lugdunum as it was founded by the Romans in 43AD, for a preview of this year’s event. With the gloom of winter setting in, it brightened up my week no end. “Lyon is the mother of all light festivals,” said Jean-Francois Zurawik. 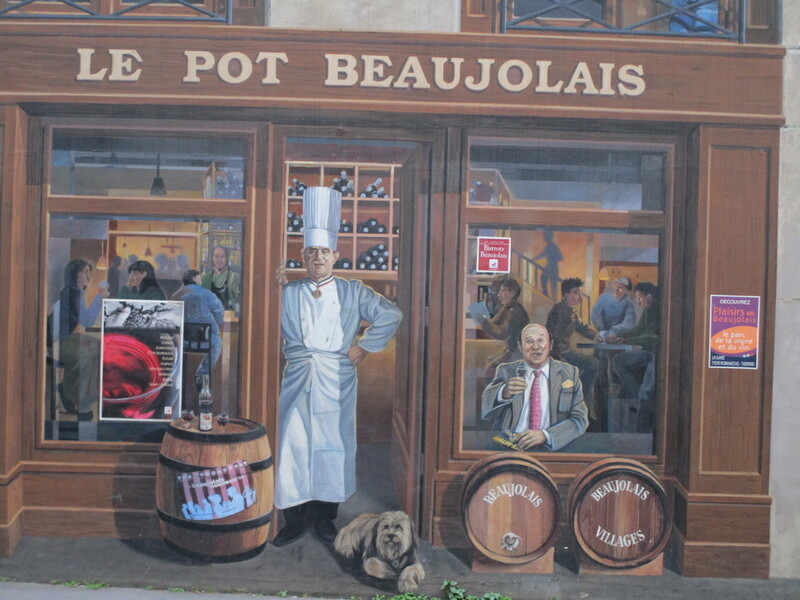 I was having lunch with the Event Director of Lyon’s Fete des Lumierés in one of the low-key bistros France’s capital of gastronomy does so well — see the mural of Lyon’s most famous chef, Paul Bocuse, above. “Light is universal. The battle between light and darkness is fundamental to the human condition,” he added. This year’s event runs December 6-9 with 75 light and laser installations at 45 locations across the city, many focused on the historic buildings of Old Lyon. The festival has its origins in the Middle Ages and took its inspiration from a 1852 celebration to mark the blessing of the Virgin Mary by placing candles in the windows of houses across the city. It will celebrate its 20th anniversary in 2019 and has grown to a spectacle attracting some 2m people to the city, spawning spin-off festivals in places as diverse as Ghent, Hong Kong and Durham. For Jean-Francois, however, it’s less about the size of the spectacle and more about bringing people together. “My job is to find light artists to create a poetic moment. It’s about emotion, not technology,” he told me, finishing his petit café before heading out to another last-minute planning meeting. And let’s face it: when we live in dark times like these, anything that can bring people together is something to cherish. Liked this? Try also On assignment in Ghent. It looks like an innocuous apartment building. It is in many ways but, to me, that faded-green front door represents far more. 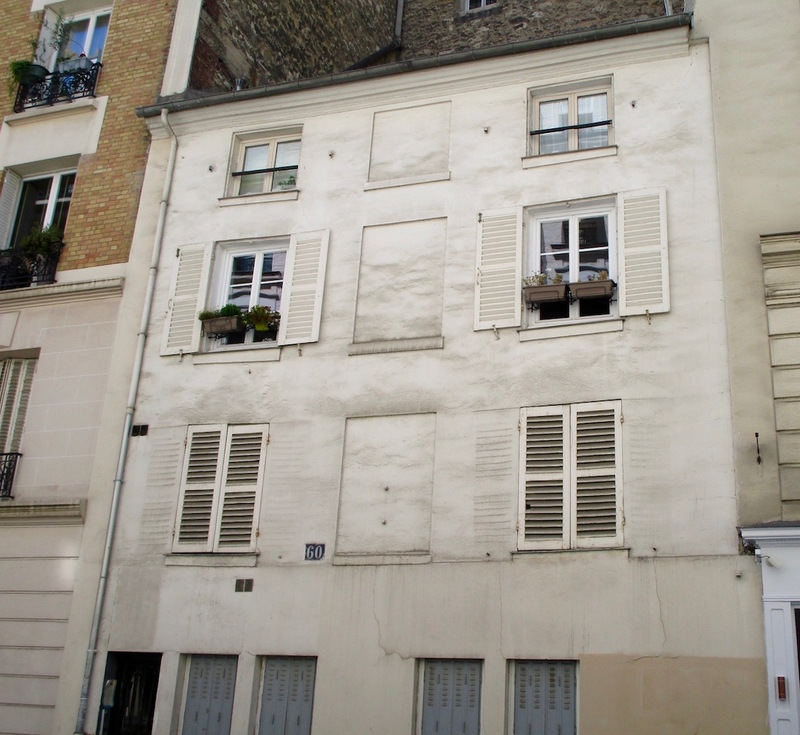 Welcome to 60 Rue Letellier [pictured above], located near Place Cambronne in Paris. This was my home from September 1992 for one year as part of my study-abroad placement via Leeds University. It was a year in which I really learnt to speak French, discovered the joie-de-vivre of Les Inrockuptibles and embarked upon a lifelong quest for the perfect Couscous Royale. And no 60 was the epicentre of all the madness — a tiny, second-floor apartment just a few minutes from the green Metro line to Montparnasse. I stood outside that green front door again this summer. It was 25 years since my last visit and I was back in Paris on a Monet assignment for France magazine. I’d stopped off for a nostalgia trip en route from seeing the Water Lilies at L’Orangerie. There were so many memories forged in that flat, accompanied by a soundtrack of Screamadelica and a diet of Pelforth Brune. But one of the most memorable was the bar opposite, where Salar and Messaoud ran a ramshackle café-bar on an Algerian motif. It was the place to start every big night out and to put the world to rights with a mix of English-abroad innocence and undergraduate change-the-world confidence befitting our formative ages. It was as much of my Paris experience as the Eiffel Tower and Musée Rodin. The bar had long since gone, of course but, I stop there, a waiter in the now pizza restaurant told me he still remembered Messaoud. A lot has changed in those 25 intervening years. But standing back on Rue Letelier brought me a sense of peace. Afterwards I headed to Place Cambronne and had lunch at a pavement cafe, sitting alone with a plat du jour and a glass of rosé in the sunshine. The square was as lively as ever. It was the defining moment of my summer. Older but maybe also wiser. I may not the same person who lived in that little apartment. But I’m not that different either. I’ve still got that Screamadelica CD and still love a good Couscous Royale. And, by going back, I’m all the more ready to move forward. Liked this? Try also The amazing story of the artist behind the Water-Lilies. I spent last week on the Monet trail In Normandy, exploring sites associated with the father of the Impressionist art movement. 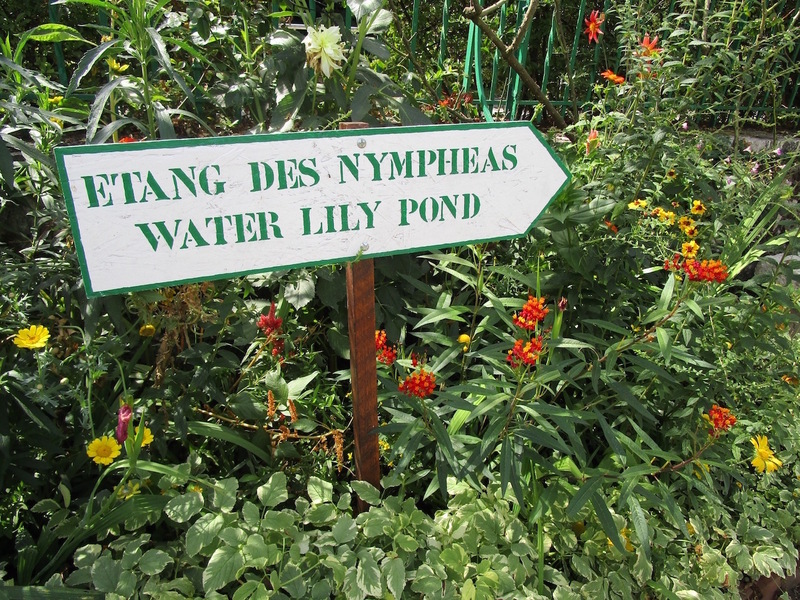 It was scorching hot and peak-season chaos but I could still get a sense of the delicious tranquility of Monet’s garden at Giverny [pictured above]. And, by visiting places in the Seine Valley between Paris and Rouen, I could also get a sense of the man behind the movement. Best of all, a visit to the Musée d’Orangerie offered me a chance to get up close with his master opus, the Water-Lilies cycle — les Nympheas in French. The article is for the November issue of France Magazine but, meanwhile, here’s a taster. To get up close to the Water-Lilies requires a visit to Musée de L’Orangerie, tucked into the corner of the Tuileries Garden in Paris. The eight compositions, moving from dawn to sunset across two light-filed rooms, form the striking centrepiece of the overall exhibition. In the words of Monet himself, it was created to give “… the illusion of an endless whole, of a wave with no horizon and no shore”. Liked this? Try also How to spend a weekend in Nimes. My first assignment for a few months — long story. But it was a good one: a trip to the Occitanie region of France for the opening of the new Museum of Roman Civilisation. 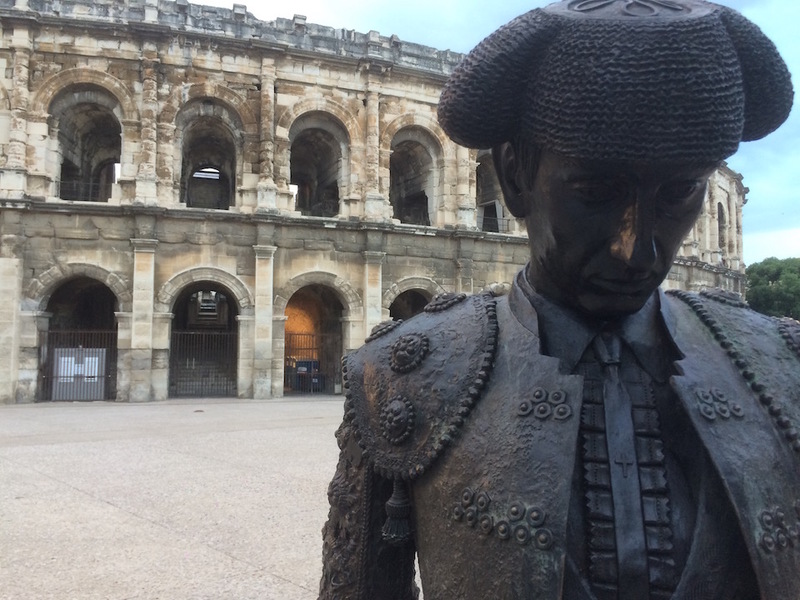 It was a Roman-heritage-themed trip, visiting the Pont gu Gard, the Unesco-listed aqueduct, and the city of Nimes — one of my favourite cities in the south of France. The new museum is opposite the Roman Amphitheatre [pictured above], home to one of the largest bullfighting festivals outside of Spain. It brings together the city’s huge collection of Roman antiquities with its four sections tracing the development of Nimes from the Iron Age, through the halcyon days of the Roman Empire to the Middle Ages, and concludes by considering the legacy of the Roman era today. Read more with my Ultimate Guide to Nimes in Independent Travel and look out for my Nimes feature in the August issue of France Magazine. Liked this? Try also Uncovering the life of Jules Verne in Amiens.